Hi All, in this Thread i will keep you updated while i rebuild my C5. I will start with the Conversion to meet German Pedelec Regulations before i put my Hands on the Frame and Bearings as they are in pretty good Condition. I Germany an original C5 is not Road Legal. 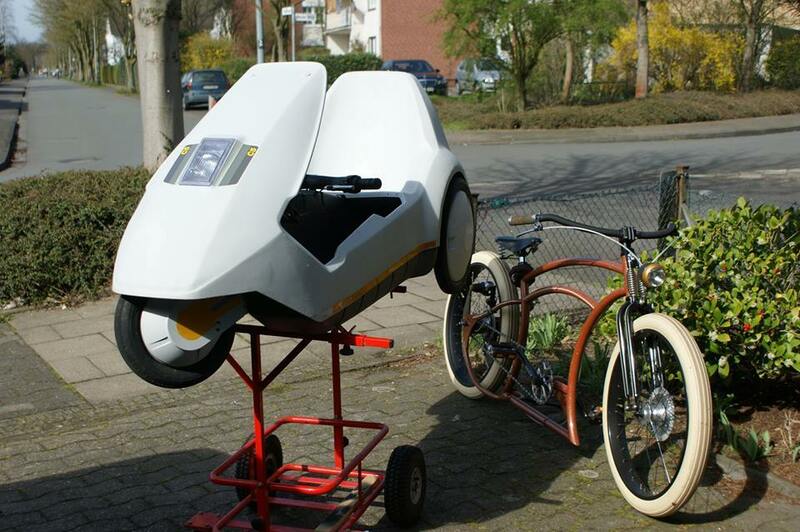 It needs a Pedal Assistance Sensor, so the Motor helps you pedalling but can´t run on a Switch. I decided to get rid of all original wiring, Motor and Control Box. Here is what i start with. The Motor i have is a 500W/48V BLDC. Double the Power we are allowed but it Can be configured to act as a 250W Motor in the Controller. Honestly, using a 36V Battery it has 380W. Outlaw Today i got all the electric Parts: and collected a Freewheel adaptor for the New Motor from my, not so, local Customs Office. Unfortunately the C5 is Kind of a Side Project atm, so please don´t expect it to be finished in the near Future. 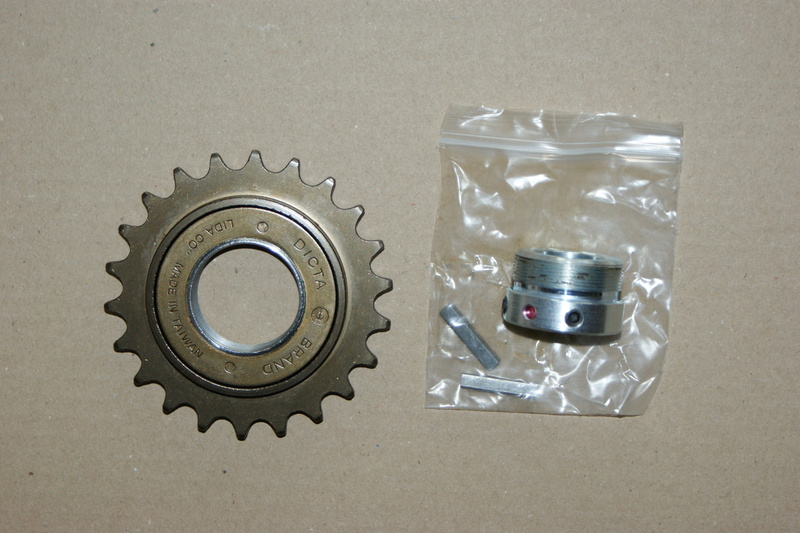 The first Step will be a Motor Mount aka Subframe wich doesn´t hinder me adding an internal Gear Hub in the Future. I will keep you updated. Hi Markus, living in a small town, and living almost next door to the hornets nest, I've decided to convert the C5 to pedelec and remain as near as possible to the original spec. I just need to be controlled once by an unsure bull (cop) and I'll receive a ticket to visit the TÜV (MoT). They would in no time flat find out the non conformity, and I could end up, amongst other things, having the C5 confiscated. Ja, German Cops can be a pain in the ... Small Town here too. But the Local Cops know me, and know that all of my Bikes are "almost" legal. f.E. Fixie. No Gears, no Brakes, no Lights...or riding one of my Custom Bikes... all i got so far was a "Thumbs Up". Seems that they use kind of Common Sense around here. When i´m finished the C5 will have an almost legal Motor with an almost legal controller. A stricltly legal Pedelec C5 would simply be useless with those short Pedalarms, no Gearing and fixed Bottom Bracket. A stricltly legal Pedelec C5 would simply be useless with those short Pedalarms, no Gearing and fixed Bottom Bracket. Thank goodness were I live there are no hills, just gentle slopes. I converted my first C5 about ten years ago with a 3 speed hub, now I want to tow a trailer so I'm converting to a 7 speeder. With both the 3 & 7 speed hubs there's no need for an additional sub frame, just a small mounting bracket. This helps to keep the all-up weight down. The cop shop here is the central point for the surrounding villages, so there's lots of patrol cars on the main roads. 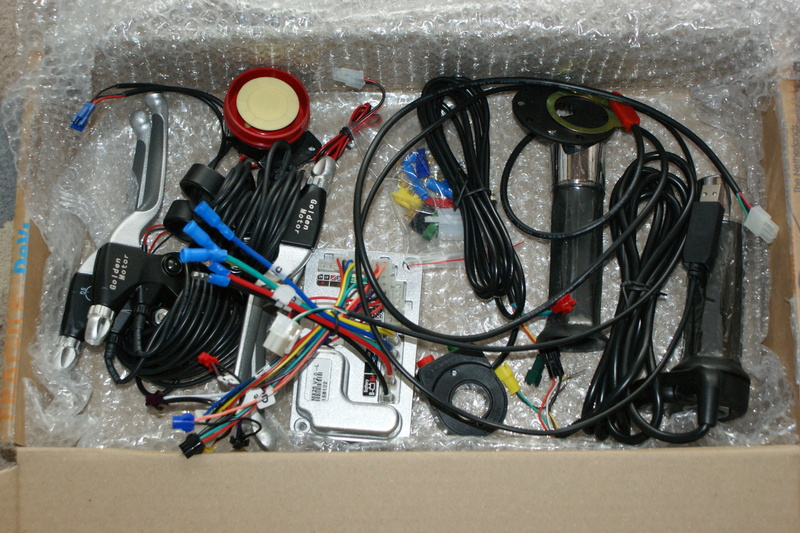 Once they've satisfied their curiosity with the C5 I'll see if I can find a way to convert to a 12/24v switched system. Too many people are using illegal e-bikes, e-scooters, and pocket bikes, so there's been quite a lot of control here of recent. Up till now I've seen three cases of items being confiscated, mainly young kids being the problem. 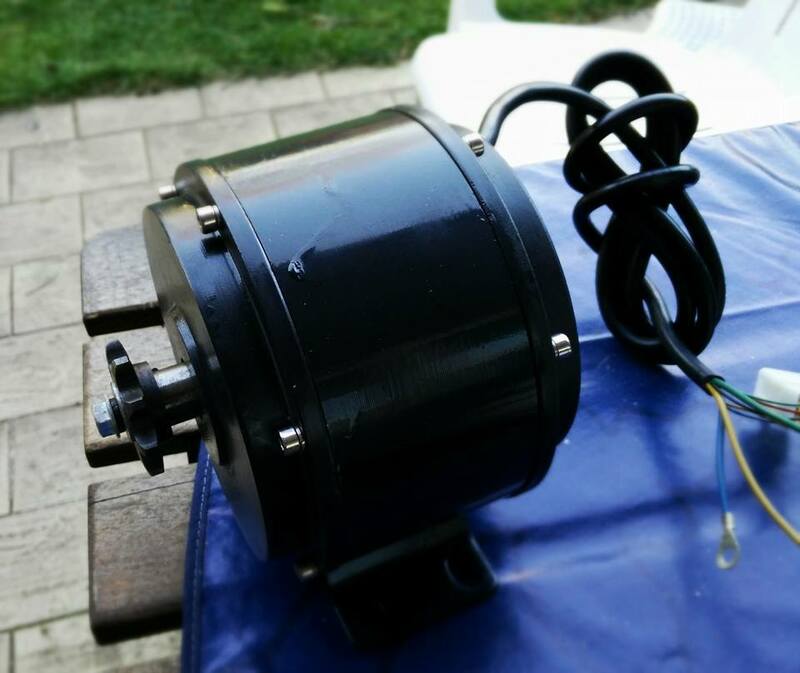 Are you using a brushed or brushless motor? Plus I'm curious as to how you are going to meet the pedelec specs, this can be very hard and expensive. Av phun. Karl. The Motor is Brushless. And it´s not that hard to meet pedelec specs. 250W cont. output, motor only when pedalling and no throttle-option above 6km/h. Was about 2 min. and a few clicks in the controller software. All i need is in the brown box on the pic above. Controller, PAS, Throttle, Brake Levers. together with the motor for about 280€ so not that expensive. How are you going to reduce the motor power in relation to the speed? Part of specs for pedelec are split into three sections: 1. No motor assistance without pedalling. 2. Motor power reduces in proportion to the increase in speed. 3. No motor assistance when speed exceeds 25kmh. Points 1 & 3 are no problem, but no. 2 is. I'm aiming at meeting points 1 & 3, and just hope the cops don't know about point 2. In Germany they have added some other regs depending on the vehicle construction, such acceleration control (twist grip, or thumb lever), motor shutoff when braking, etc. It's hard to find out exactly what's legal, it appears for every paragraph in the law book there's a counter paragraph. How are you going to reduce the motor power in relation to the speed? More or Less. Tested all the parts and it did work fine. But still not been able to put all Parts together to one working machine. As Summer is now done i will have some more Time to spend in the Shop. You are searching for one on FB, right (Simone Voltini). Have you been sucessful?